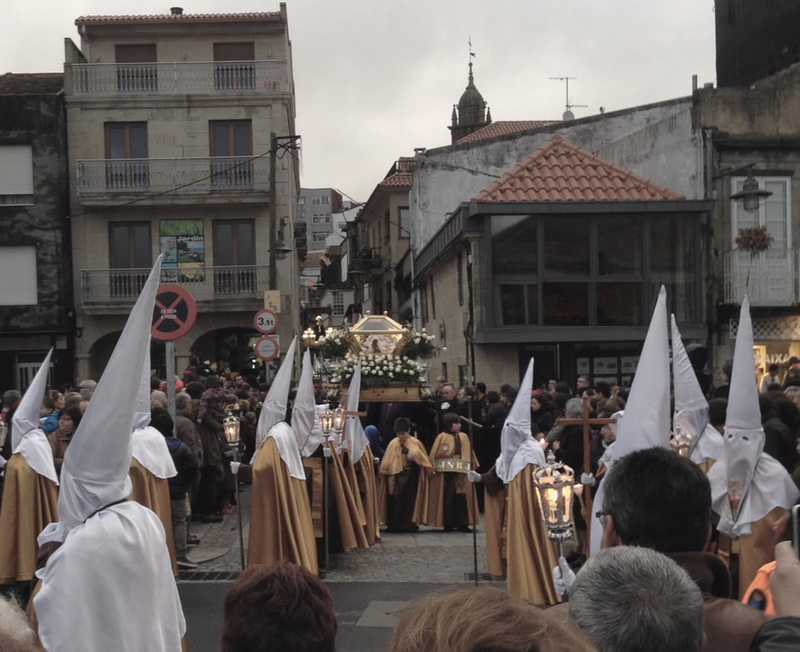 The most solemn manifestation of religiosity concerning the Passion of Christ takes place in Pontevedra province; the Holy Week processions of Cangas feature passages of great historical-artistic value and articulated figures, such as the Nazarene of the Holy Encounter procession or the Deposition of Christ ceremony, which inspire deeply felt emotions. 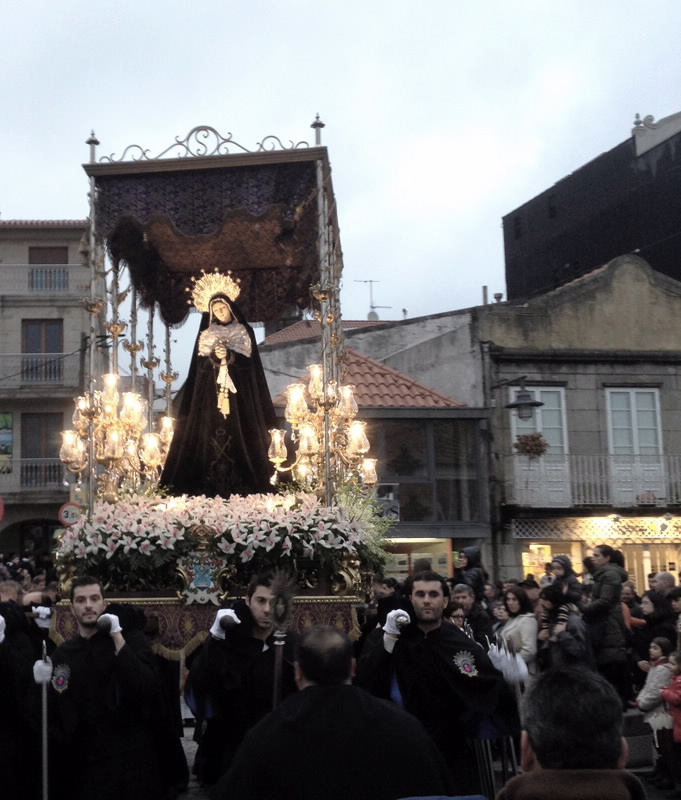 The religious celebrations begin on Good Friday, with the Holy Virgin of Sorrow festivity (local celebration). 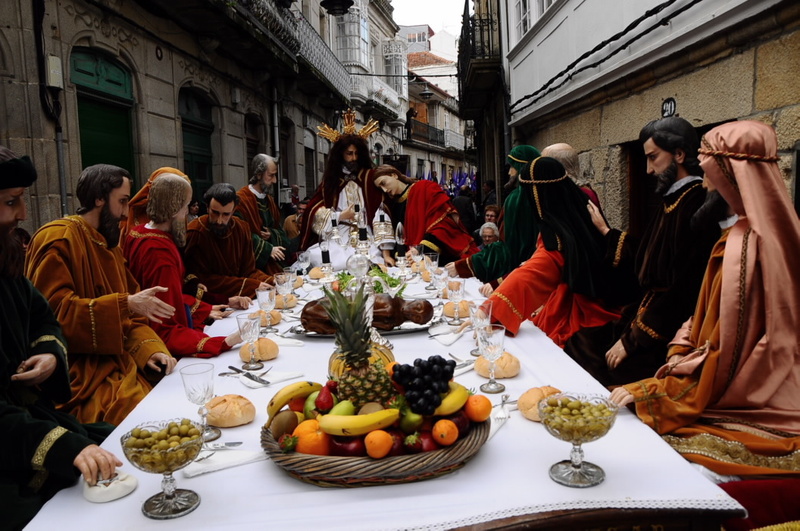 The Maundy Thursday procession is very colourful, with the Paso de la Mesa, which represents the Last Supper, with natural ingredients, the Prayer in the Garden and the Flagellation, a beautiful art grouping, followed by the Virgin of Sorrow under a pallium, closing the procession. 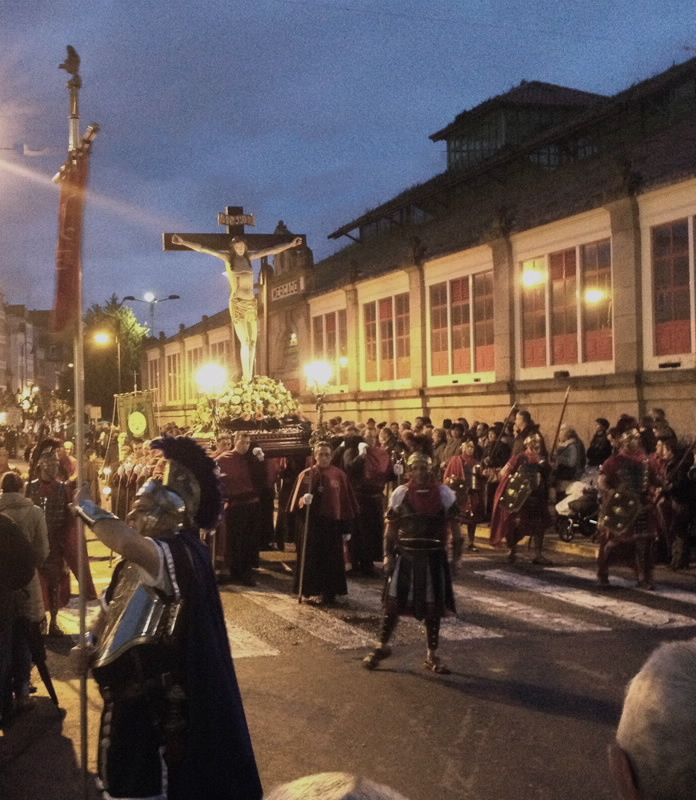 Peter’s Denial procession takes place in the morning on Good Friday, which many young people attend, carrying the figure of Saint Peter around the gardens of J. Félix Soage Villarino and eating chocolate to celebrate at the end. 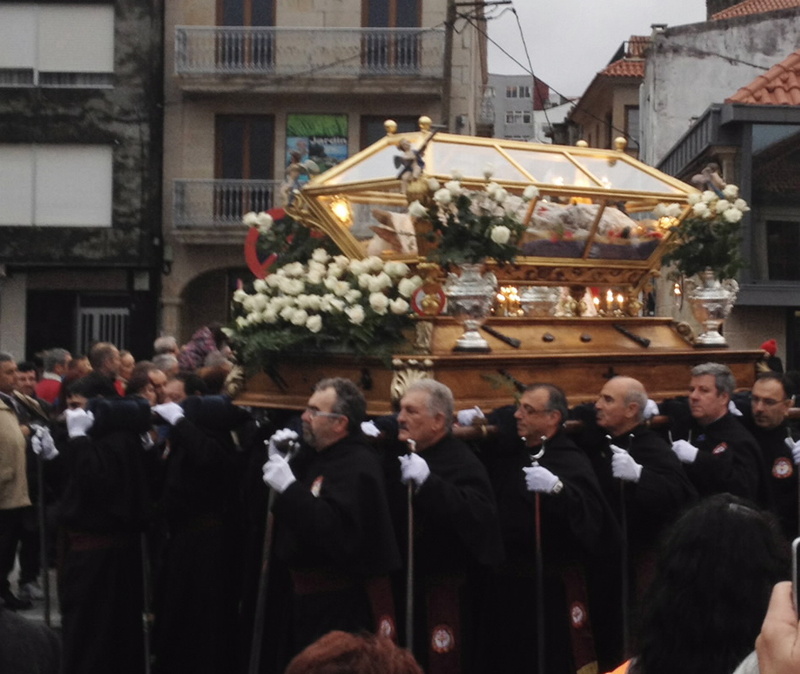 At noon, the old town is filled with people who go to the procession of the Holy Encounter. As the historical passage of the ascent of Mount Calvary is narrated, the figures of its protagonists appear: Saint John, Saint Veronica, Mary Magdalene, Mary Cleophas, Mary Salome and the Virgin of Sorrow. Accompanied by Simon of Cyrene and Roman soldiers, the Nazarene falls three times by virtue of an articulation system. 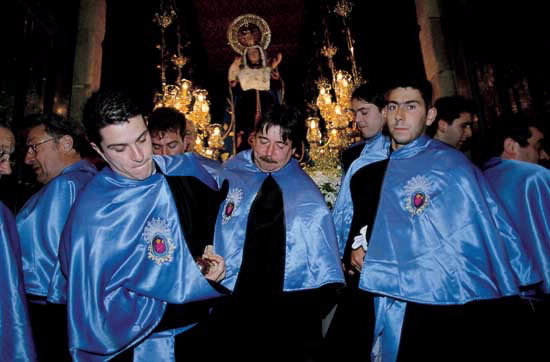 The sound of bagpipes and drum rolls accompanies the slow pace of float bearers, penitents and brotherhood members, bearing traditional banners and wearing tunics and hoods, in processions that include appropriately garbed Roman centurions. 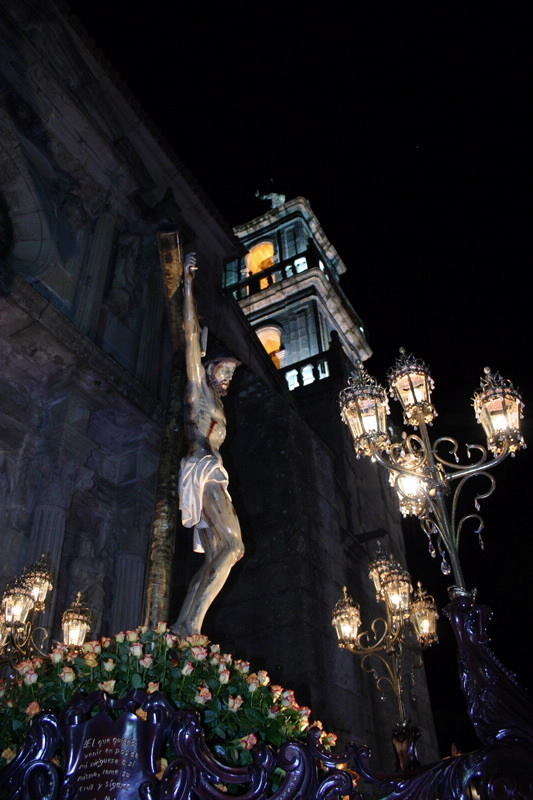 The processions (up to four taking place on Good Friday) express solemnity and inspire introspection in the many who follow with hushed emotion standing on the sidewalks. 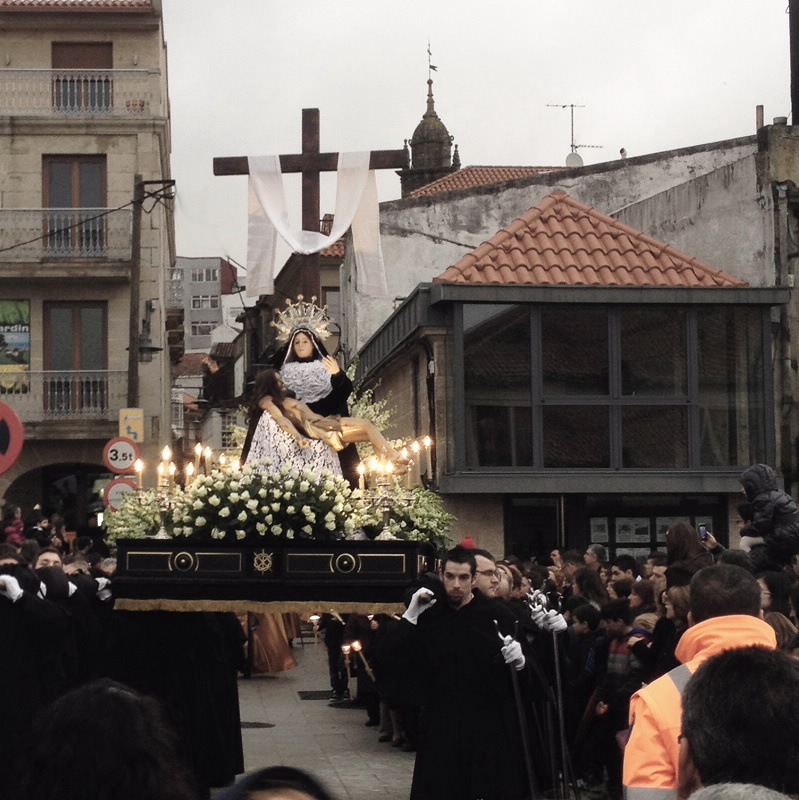 Procession of the Holy Encounter, featuring the passage of the Falls of Christ with the articulated figure of Jesus.